Since I’m the new kid in town, I was thrilled to get an invitation from LouAnn at her blog, On the Homefront , to attend her Virtual Christmas Party on December 15. Ok, I admit it: it’s true that she’s invited virtually everyone (or everyone virtual). But I choose to think of it as a personal invitation since I enjoy her blog so much. We’re simpatico (says me) since we share the name Luanne (which technically is the correct spelling, but please don’t mention that to LouAnn). 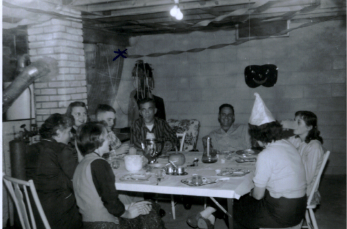 Party-goers are to come as their favorite author or character from a book. We’re to bring a 1970s appetizer and a song request selected from specific artists. As if I were planning a costume for a costume party, I’ve been obsessing over my masquerade identity for days. It didn’t take me long to realize I want to attend as Little Red Riding Hood. She’s my writing alter ego. I figured this out after reading Tristine Rainer’s Your Life as Story. In this fabulous book on writing memoir, Rainer describes how each writer (read: person) inherits a myth which forms a pattern for her own life. It’s our duty as writers to understand this and not to get trapped in old patterns to the extent that we follow them to an unhappy conclusion. I could see right away, that though I was the princess who felt the pea under 4,000 mattresses and feather beds when I was a kid and Cinderella when I married a rescuing prince, my main storyline has been that of Little Red. In my journeys as Red, I have travelled from the family home back to my grandmother’s home to save grandmother from her own sad story. I’ve dodged the wolf many times. There are hundreds of Little Red versions around the world, and they all have different endings. 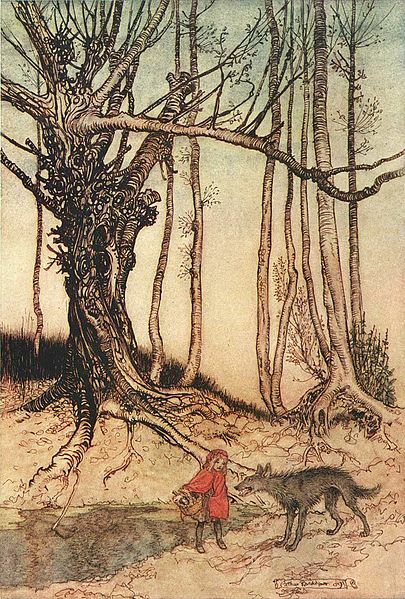 I like that Little Red–whether she gets eaten, kills the wolf, or saves her siblings—remains tough and spunky. 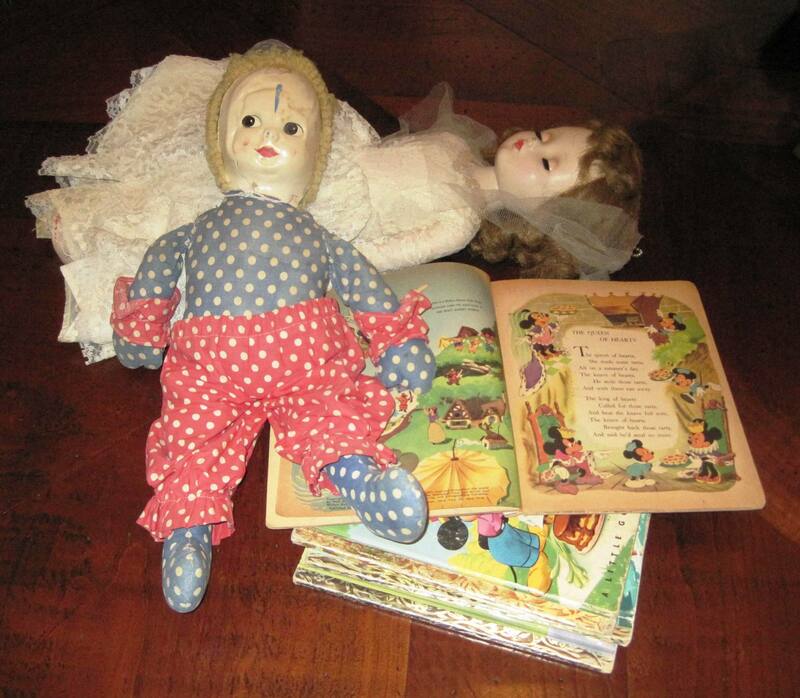 For years I collected Little Red dolls, without understanding why. When I taught college-level children’s literature, we read and compared many versions of the fairy tale. I’m not sure if Red’s story became mine because reading the Little Golden Book version was one of my earliest memories, although it’s certainly possible. What I do know is that I won’t be attending LouAnn’s party as Nancy Drew or Judy Bolton, as Catherine Earnshaw or Lucy Snowe, as Emily Dickinson or Muriel Rukeyser. I’m going as Little Red Riding Hood and if my cape and hood look particularly Christmassy, that will just be the frosting on the Christmas cookie.